Years ago, viruses were the only thing we had to worry about when it came to internet security. Now, there are is a wide range of problems that can not only threaten our business data but that of our customers too. Technology is important for staying ahead of the game, but if you fall victim to hacking it could be game over. Learn about protecting yourself from hackers for the best security for your business and your customers. It seems that nobody is safe from hacking. 2017 has been filled with headlines of big names who’ve had their data breached by hackers. HBO, Mark Zuckerberg, and Chipotle have all suffered from serious hacks this year. In Dallas, the city’s emergency weather sirens were hacked and set off in the middle of the night. When you consider the recent events in nearby Houston and Florida, this is a worrying development. Hacking can take many forms. Data breaches are one of the most common consequences of hacking, with leaked emails and personal data appearing online for anyone to see. Meanwhile, common phishing schemes seek to steal victims’ personal data and payment information which is then used to steal money. While some of this requires some vigilance from the individual, businesses also have a responsibility to protect themselves and their customers from hacking. Research has shown that consumers lose trust in businesses that have been hacked, which can have a serious effect on the numbers of existing customers who look elsewhere for services. The knock to your business’ reputation can also make it difficult to attract new customers, affecting your potential for growth or your profits. For businesses, a large part of staying safe from hackers rests with education. It’s important that you offer full online security training to your employees to help them avoid costly mistakes. Something as simple as opening a link from a suspect email can spark a chain of events that can be disastrous for businesses. Teaching online security needs to extend beyond simply keeping an eye out for suspicious emails. Knowing how to file and store data securely is important for your employees, who should know how to handle personal data the right way. Meanwhile, having policies in place for company phones and tech equipment can help issues be resolved faster in the event of theft or loss. Providing training to your employees is important, especially as new threats develop. When was the last time your systems were upgraded? If it’s been some time since you had new equipment or software, it could be time for a change to ensure that you benefit from the latest security features. Aim to get IT help from a reputable company that knows what it’s doing when it comes IT security. This will ensure that you’re getting a fresh perspective on your IT setup that could highlight problems and risks you were unaware of. In addition to installing new equipment, a refresh of your IT systems could help you to save money. Moving to cloud computing could reduce your overall running costs by eliminating the need for physical servers and other equipment. Even small businesses can benefit from a change in IT systems, with various financing options (including leasing) that will minimize the cost for your company. For many businesses, especially retailers – your website is the gateway to your profits. If it falls victim to hacking, you could face some serious damage. Making sure your website is as secure as possible can help to minimize the risk. Tighter access passwords, renaming databases to something more challenging and reduce the number of login attempts that are allowed before an account becomes blocked. These may sound like basic fixes, but they could make all the difference. Some features that make your website simple to use for your customers should also be removed. Autofill, while useful, can leave your website vulnerable to hackers and poses additional risks for your customers’ data. Running a business comes with many costs, so it’s no wonder that you’ll try to cut costs where possible. Your IT security applications shouldn’t be one of them. Think of your security software as insurance for your business. Yes, it’s a cost you may never use, but it’s a small price to pay versus what could happen if you were to be hacked. Take a look at the best security applications for businesses today and choose a tried and tested option for your business. Remember that security should also extend to phones and portable technology. If your employees use smart devices to access work emails and carry out different tasks, they should be equipped with the right security to avoid hacks. Despite your best efforts to stay up to date with the latest security threats, an attack can still happen. Rather than letting it catch you out by surprise, make sure that you have a response plan in place should the worst happen. A response plan can help you to figure out what happens next. When creating a security response plan for your business, make sure that it has actions for employees to report the issue as well as those for more senior employees who will have to put actions into effect. Share your response plan with employees through training and your company’s intranet pages, but make sure that your policies are thoroughly secured in case they fall into the wrong hands. It’s important that you analyze your procedures regularly and make updates when required. At this moment in time, cybersecurity should be one of the primary concerns for your business. As one of the issues that plague new startups, it’s important that you put all of the appropriate measures in place to prevent attacks as much as possible. 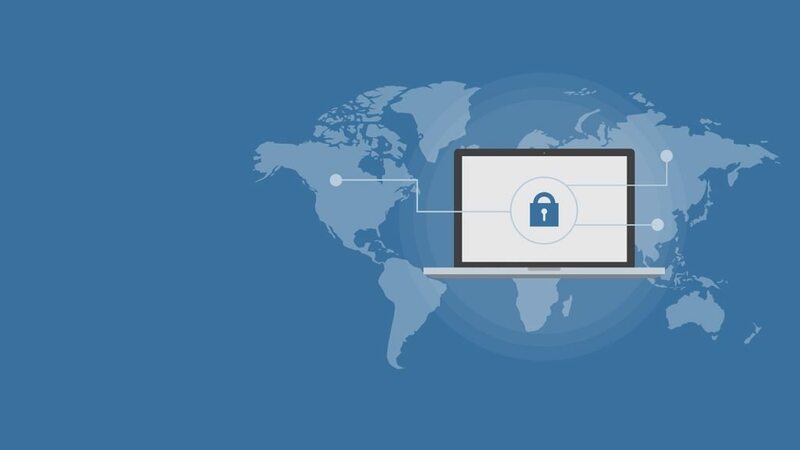 While hackers continue to develop their practices and find new methods of breaching data, you can reduce the risk for your business by being proactive with your IT security. If in doubt, reach out and seek expert advice on the best way to protect your business from hackers.